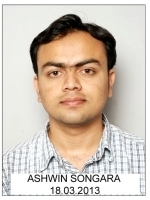 Dr. Ashwin Songara is an eminent Pulmonologist and Allergy specialist, practicing in Dewas. Got selected in first attempt in PMT, 2017 and secured 11th rank in state with 92%.After doing his MBBS from MGM Medical college and MYH Hospital, Indore, he persued his MD Pulmonary Medicine from SAMC & PGI, Indore. After completing his Senior Residency from Medanta medicity hospital, Gurgaon, he is currently working as Assistant professor in AIMS, Dewas. He owns a dedicated Respiratory clinic named Songara Chest and allergy clinic in Dewas.